We have complied this list of frequently asked questions with the purpose of helping those interested in learning about the various facets of Islam find answers to their questions. Click on any of the questions below to see the answer and the source we compiled if from. If you have further questions, please feel free to contact us through our contact page. Does Allah look like us? What does it mean to believe in Allah? Does Allah answer my prayers? When does Allah not answer our prayers? What can I ask of Allah? How did Muhammad (peace be upon him) become a prophet and a messenger of God? Who were the parents of Jesus (peace be upon him)? Can Jesus (peace be upon him), or Muhammad (peace be upon him) be worshipped? Is Allah the same as what Christians call “the father”? Is there a trinity in Islam? What about someone who has never heard of Islam? When is the Day of Judgment? Are there signs for the day of Judgment? What is it that keeps us from entering Heaven? What about non-Muslims do; they go to heaven? Do we believe that Allah created the heavens and earth in 6 days? Who is my worst enemy? Do bad things happen to the believers (good people)? Who are amongst the people that must fast in the blessed month of Ramadan and those that are not obliged to fast in this month? What facts about the month of Ramadan have been related by Hadith in regards to what takes place related to heaven and hell? What is one of the Sunnahs when a Muslim, for a valid reason cannot keep fast? What connection does the Holy Quran and the blessed month of Ramadan have that makes the month very important and sacred? It is said that the odor of a fasting Muslim is more fragrant to Allah Subhanahu wa Ta`ala than what? Is it a requirement to enter Masjid Haram from the Baab as-Salaam entrance? Can I smoke when I’m in Ihram? When I stone the Jamaraat, is it necessary to hit the target? Can I perform Hajj every year? Answer: The Arabic word Islam simply means ‘submission’, and derives from a word meaning ‘peace’. In a religious context it means complete submission to the will of God. ‘Mohammedanism’ is thus a misnomer because it suggests that Muslims worship Muhammad (peace be upon him) rather than God. 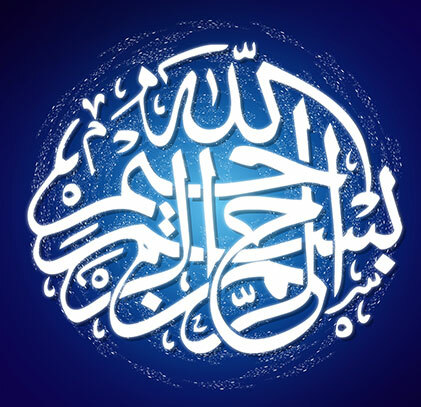 ‘Allah’ is the Arabic name for God, which is used by Arab Muslims and Christians alike. Answer: Allah sees us and knows everything about us. He knows us better than we know ourselves. There is not a leaf on a tree that blows away, or stays in its place except that He knows it. There is not a dry spot, nor a wet spot, nor a grain in the depths of the earth except that Allah knows it. Answer: At the age of 40, while engaged in a meditative retreat, Muhammad (peace be upon him) received his first revelation from God through the Angel Gabriel. This revelation, which continued for twenty-three years, is known as the Quran. 24. Is Allah the same as what Christians call “the father”? Answer: That would be the devils, whether they are human devils (evil people), or Jinn devils (like Iblis). The Arabic word for a devil is Shaytan (similar to Satan). Satan wants us all to go to hell. He wants us to be bad on earth. Whether we get rich or do lots of wrong things that we appear to enjoy, he does not care that, but he wants to make sure we don’t go to heaven. Answer: The family is the foundation of Islamic society. The peace and security offered by a stable family unit is greatly valued, and seen as essential for the spiritual growth of its members. A harmonious social order is created by the existence of extended families; children are treasured, and rarely leave home until the time they marry. Answer: The Holy Quran was revealed in Ramadan. Answer: Performing the Hajj ONCE is compulsory for Muslims who are financially and physically able to do so. There is no rule prohibiting anyone from performing the Hajj more than once. If you plan to perform it yearly, you are obviously financially well endowed. You should consider the following:A: There are numerous things you can do to walk in the way of Allah. Consider contributing your Hajj trip funds to uplift downtrodden Muslims.B: With nearly 3 million people converging in The Holy Land to perform the Hajj, the Saudi authorities have understandably imposed Hajj quotas. Have a heart for those waiting in line to perform the Hajj for the first time. Allow a reasonable time gap before going to perform the Hajj again.